I’m paying $100 for the best family story submitted to my blog. Submit by emailing me. The person with the best story will be paid $100 if I include in my next book on family life. Submissions should be 500 words or less and include your email, physical address (only by email) and phone number. Just handed Bill Campbell Down in the River to Pray (revised edition) he was asking about and Chris King just handed me Community: A Structure of Belonging by Peter Block–we are in the midst of our own mosaic of broken people here at Garnett and searching for God‘s vision of the world around us, how he wants to put us back together, how Christ wants us to live out his prayer for unity in John 17, how Paul encourages us to play harmony and be united in one thought and purpose (1 Corinthians 1:10). I’m really glad to be in a community network of leaders like Bill Campbell and Chris King. Today is one of those days for a friend here in our community. 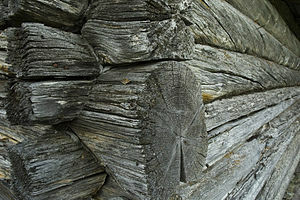 Nga Kibi. We are sad with Pastor Steven Vang whose wife passed away yesterday. She had a two year battle with illness that ended yesterday peacefully with Steven by her side. Friends Tim Schweikhard and Scott and Shari Norvell and many others from Good Shepherd Lutheran Church, were by Steven’s side and praying for them in her last moments in this earth life. Steven has been a leader in the Hmong community for several years while they have held events and coordinated activities here at Garnett’s event center. Pastor Vang, May God bless you and keep you and make his face to shine upon you and give you peace. Care for some fresh news from heaven today? One day Francis was attending mass at Church of the Portiuncula, outside of Asissi, when the text was Matthew 10:7-9. Francis threw off his shoes, wrapped a rough cloth around him and started preaching repentance (Lawrence 1989, 246). This story about Francis struck a cord with me, because my half-uncle, five times removed, John Chapman, made a similar renunciation of wealth and commitment to preaching. The next day, Uncle Chapman walked up to the preacher and the brush arbor meeting dressed in a skin, with no shoes, and proclaiming good news. His good news was that the earth and everything in it is God’s and so he preached, gave up his shoes to those in need, and planted apple trees for the frontier people to have the much needed use of apple cider for canning, drinking, and well, some pioneers I’m sure fermented the cider before drinking. People called Uncle Chapman “Johnny Appleseed,” but his real name was John Chapman, my great, great, great, great, great, half uncle. That’s enough to claim him–many people claim ancestry of famous people with less than that! 21st Century Restoration: Will you join? The community was surprised when rough and tumble “Spike” Walker converted to Christ at a brush arbor meeting. Spike—my great grandfather—my grandparents and parents were all baptized in Oklahoma and Kansas Churches of Christ. But in the seventies, about the time I was baptized, a scandal broke out in my family. My uncle and aunt, Rudy and Kathy Taylor, transferred from a Church of Christ to a Christian Church—a painful move because many family members viewed them as leaving The Church. But something a woman in the Christian Church said to Rudy has always stuck with him: that he ought to be thankful his parents and family cared enough that they would take a stand, even if it was wrongly handled. Rudy says he holds no grudges—just grief for what was lost. “My parents didn’t see me baptize our children. 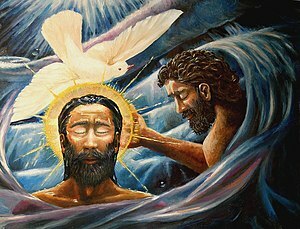 It was so sad for me to listen to my children tell their grandparents about being baptized, obviously thinking that would bring a smile and congratulations. Their news was greeted by silence. 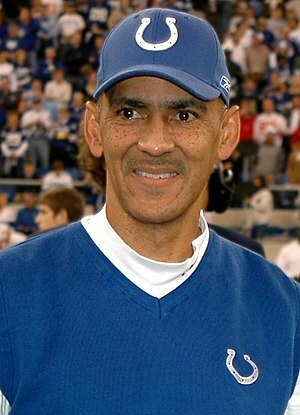 It always took some parental explaining when we left Grandma’s and Grandpa’s house,” Rudy said. And many of our families and churches have some explaining to do. The worldview that Churches of Christ have a privileged place above denominations, insider knowledge of scripture, and a unique place in history is flawed. These notions cause or at least contribute to rifts in families and churches like mine. Leaving one Christian church for another Christian church is not the same as leaving Christ or the truth. My uncle and his family were seeking Christ and truth at least as much as my relatives staying in Churches of Christ. The worldview of my “church upbringing” taught me to suspect and debate the Methodist and Catholic alike, to reject forms of worship unlike ours and in most extreme cases to view anyone outside Churches of Christ as not truly Christian. At times in our history the idea of making converts shifted away from reaching people who did not know Christ to those who worshiped in ways different from us. And we believed convicting others of our views was tantamount to converting them to Christianity. In spite of this, the stubborn autonomous streak in us has allowed some communities within Churches of Christ to break free from this conceit and become learners again. And though I’m proud of my family and Stone-Campbell heritage, I want to see our movement grow into a new future faith—one that drinks from wells dug by our faithful fathers and mothers, digs new wells, and questions stagnant thinking of the past and today. This story is personal and risky for me, but this is where I believe new restoration begins: with a change in worldview that brings us to our knees before God and each other, honestly reflecting on our past and imagining a new future. So my wife and I believe and teach our children that we are part of the larger body of Christ, and that God is much bigger than Churches of Christ and the Stone-Campbell Movement. I know this is no news to many reading this, but I also believe what I’m about to say will challenge all of us in the Stone-Campbell family. We want to fellowship with and participate in the life of Christians worldwide and in various denominations. The world is changing and our worldview ought also to change. Rather than asking, “Are the Baptists or the Catholics right?” millions are asking a question on a completely different plane: “Is Jesus the Lord or should I follow Muhammad?” I’m more concerned to tell Muslims and sinners about Jesus than I am debating matters of precise doctrinal formulations with fellow Christians. I’d rather show a wanderer the gospel of Jesus than “convert” an Episcopalian’s view of scripture to mine. Will there be backlash for this attempt to change our worldview? Different tension points for the next generations? Certainly, but we believe in unity and dialogue with Christians across denominations, across the Protestant and Catholic divide. Unity will expand the kingdom of God, help us become missionaries in every land and culture, and bring people to Christ, who teaches that unity and love draw people to himself. This is already happening. The next generation imagines giving up their lives for Jesus—not with bombs strapped to their chests but with clothes of Christ wrapped around them, in faith that the kingdom we seek penetrates bone and marrow by the sword of the incredible life of Jesus, the God of the universe made flesh once in Christ and again in us. A new restoration is rising and is broader than the Stone-Campbell Restoration because it includes Christians from most traditions who are discovering Jesus and the Bible like never before through the power of the Holy Spirit, in house churches and large churches and with tools as varied as Bible translations, the internet, emergent learning communities, and Christian universities. Restoration language echoes through several overlapping movements that include “Missional,” “Emergent,” and “Simple Church.” This new restoration is making disciples un-tethered to specific denominations but still moored to and fueled by ancient Christianity. They want to break out of the box of modernism and not march to denominational drumbeats. They want to be the hands and feet of Christ in the world. A woman decided to start a program for prisoners being released to help them learn not just job skills but how to start their own businesses. A micro-loan helped one man buy a food cart and eventually to purchase two catering trucks. A Christian rock group is helping with water wells, mosquito nets, education, and training in African countries, which many believe will send more missionaries abroad in the next decade than developed nations such as the United States. These examples only scratch the surface of a new generation of Christians who, like Jesus, are going to sinners, prisoners, and the poor. For too long I have allowed competition and sectarianism to deter me from cheering on Christians of all kinds worldwide. Jesus said, “I want all of them to be one with each other, just as I am one with you and you are one with me . . . Then this world’s people will know that you sent me. They will know that you love my followers as much as you love me” (John 17:21-23, CEV). I’m ready to truly live that prayer and let it shape me. Are we willing to lose our reputations or die to fulfill the prayers of Christ? Am I willing to die for my faith in Jesus Christ, not in war, but in whatever peaceful, radical form that might take in my lifetime? Am I willing to keep agitating for a better world for the poor, for clean water for one billion who have none? Am I willing to keep advocating for peace as long as there is war? As Ghandi said, may we be “the change we wish to see in the world” as we consider how we can join this new restoration of Christians who are living images of Christ in the world. Will We Join the New Restoration? We’re called to unity with all Christians everywhere who call Christ Lord. When Jesus prayed his unity prayer, he didn’t parse every doctrine and neither will I here. We live the Christ-life and follow the rule of the Holy Spirit to keep that everlasting covenant God the Father has kept since creation. Christ and Paul and our own more recent forefathers such as Thomas Campbell call us to produce fruit and look for fruit of the Spirit in the lives of fellow disciples. Will Churches of Christ, Christian Churches/Churches of Christ, and Disciples of Christ join this new restoration? It is not—and never has been—only our restoration, but rather a plea for all Christians everywhere of all times to reunite the family and mutually claim the fact that we’ve all been adopted and none is the “rightful” heir. But our family can help participants in the new restoration break free from religious molds and live their faith in the marketplace. I want to see this shift of worldview in Churches of Christ in my lifetime, and I will be “the change I want to see” in the Stone-Campbell Movement and beyond. I will admit I do not stand above other denominations in any way but am a fallible, messed up human being in need daily of immersion in God’s life and words, in Jesus’ cross and resurrection. I will admit I have no monopoly on truth or scripture’s interpretation. And I will join the great mission of Christ with my fellow disciples, showing my neighbors the good news of Jesus through prayer and words of blessing. I will follow what I call the “Golden Commission”: to preach the gospel as I would have others preach to me—to show a fellow beggar how to get bread. I grieve for those who have died without fully knowing the joy I have experienced as a sojourner in Christ. I love the Lord Jesus Christ today because my mother and father taught me, took me to church and lived like Him to the best of their abilities. My highest hope and prayer is that future generations will shed the traditions that separate God’s people, and keep the lines of spiritual sharing open for those times when we need to be talking about something more pertinent than what’s going on at 17th and Hillside Church. I pray for the day when His body will stand tall, walk straight, extend its arms, wiggle its fingers and toes, flash its eyes and smile broadly, totally unaware that once its members looked at other body parts as aliens. A new era is dawning for the Stone-Campbell Movement and a new, larger restoration movement is emerging. Let us join our brothers and sisters in the grand journey of faith in Christ, and in a movement of the Spirit of God that brings us together in ways we never thought possible. So, with part 2 in mind, how do we invite children into a relationship with Jesus Christ? 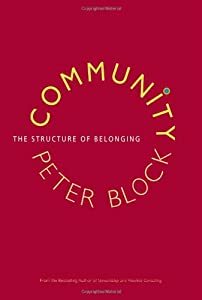 Do we view children simply as non-members until they come of age? Do we consider them prospects for evangelism as soon as they can reason and are able to say a prayer of repentance and submit to baptism? If we believe five or six years old is too young and we choose to wait and view our children as potential disciples, what age is right for disciple-ability or accountability? At what point do they become utterly sinful and ready for initiation or conversion? Or do we view our children as maturing participants in faith and nurture them? Congratulations Drew, Bran, Hannah: You made it to college! Really happy and proud about two nephews and one niece making it to college of their choice! Drew is at Harding University. Brandon and Hannah are at Oklahoma University. Congratulations and I know you are having some fun but also some academic and social and spiritual challenges ahead. God be with you. We love you guys! 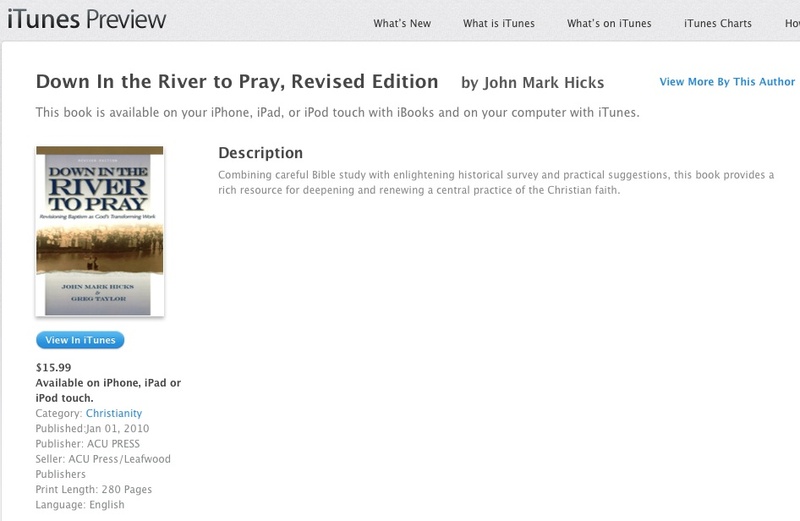 If you have an iPad or iPhone and have never read Down in the River to Pray: Revisioning Baptism as God‘s Transforming Work, get it from iTunes in ibooks format. The revised and better edited shorter version of the book John Mark Hicks and I co-authored is available here. Or click the image below. What is success? A year after John Wooden died, just short of his 100th birthday, his definition of success still lives on . . .
A few years ago I read a book about an American hero, John Wooden. I reviewed the book in Wineskins and I want to share that here. 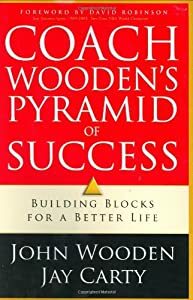 Review of John Wooden’s and Jay Carty’s Coach Wooden’s Pyramid of Success: Building Blocks for a Better Life. ISBN: 0830736794. Price $17.99 136pp (Regal, February 2005). Coach Wooden’s “Pyramid of Success” has been used and copied by tens of thousands of coaches over the years, but now he is offering something more in his book: an inside view into the faith behind the man, behind one of the greatest basketball coaches ever. Wooden teams up with his former assistant coach at UCLA, Jay Carty, who mentored and personally trained Ferdinand Lewis Alcindor, Jr. (Kareem Abdul-Jabbar) when he was a freshman. Wooden draws from his forty years of coaching expertise and Carty from his twenty-five years of coaching and teaching in Christian camps and seminars to write this new clear, concise—and most importantly—biblically tested new book, Coach Wooden’s Pyramid of Success. 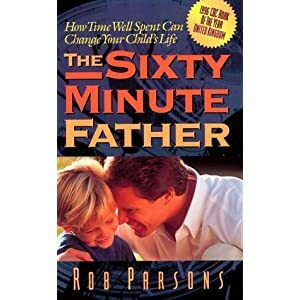 This book changed the way I think about being a dad. It hooked me first with the title that I thought was pithy and cheesy, but I realized it referred to the time spent reading the book, that it’s a quick 60-minute read that would change your child’s life. Like Coach Tony Dungy, this book encourages men to get off their butts and get their work done efficiently and quickly, not to postpone and procrastinate work then make excuses at the end of the day that we had so much work, honey, that I’m just going to have to stay late today. When the fact for many men is that they went on a leisurely lunch, wasted time on the internet checking ESPN, let others waste their time, and didn’t take charge of their day. Pastor Eugene Peterson and time management guru David Allen agree that people who do not manage their time well do this out of laziness and lack of vision for what they are doing. So they let others “tell” them what to do by checking email endlessly for some fire to put out or way to take their time rather than getting busy on the initiatives that move an organization forward or simply getting the job done or tasks a supervisor has already asked you to do.